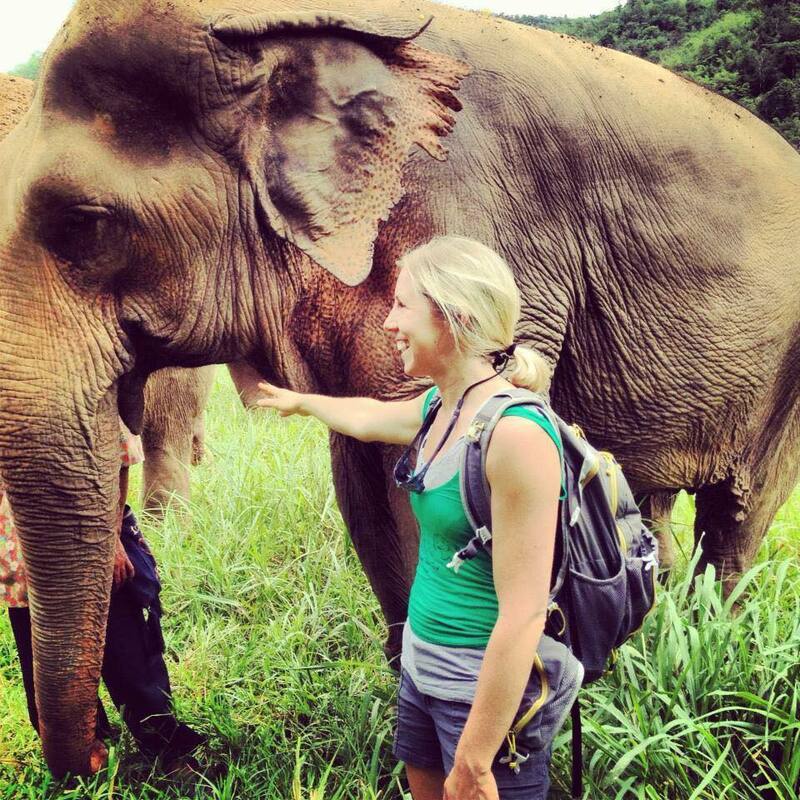 Each day will be filled with a new exploration of the Asian elephants of Thailand. ELEI has chosen Save the Elephant Foundation because we trust the practices and the ways in which the elephants are cared for and how they give back to the local communities. We believe they are leaders in teaching the Thai people a new way to interact and care for their elephants. There are a limited about of Asian elephants (around 30-40,000) left in the wild. The ones that are no longer wild have been domesticated from the tourism and/or lodging industry. The elephants have been rescued from inhumane practices and are living out their days in different projects with Save the Elephant Foundation. Specific projects focus on slightly different aspects of elephant care and integration with the local communities like the Karen tribe. In conservation, we cannot care for the elephants without also taking care of the communities that share the same land. The funds for this trip will be given back to the elephants and the local communities. During this week, we will explore up to 6 elephant rehabilitation programs in up to 6 different locations including Elephant Nature Park; Karen Experience; Elephant Highlands; Elephant Wellness; Elephant Freedom; and Pamper a Pachyderm. Discover how to communicate with the elephants and learn with trained staff. Observe the herd at play and watch them interact in each of their social groups. Overnight stays are all about spending time with the herd and do not adhere to a strict schedule; the best way to make the most of your visit is to relax, watch and learn from the elephants. Enjoy the chance to feed and bathe the elephants, while observing the communications and interactions between them. For more than 20 years, Karen tribes have rented their elephants to Elephant Camps because they could no longer legally use the Elephants for logging work. The Karen people have traditionally worked with Elephants but now the tradition is fading. After seeing other Elephant owners change their way of caring for their Elephants, a group of Elephant owners in Mae Wang area, just south of Chiang Mai city, have agreed to stop renting their Elephants to the trekking industry and have committed to care for the Elephants at their homes with the support of Save Elephant Foundation and forget the trekking chairs. Elephant Wellness is a special, small group “saddle off!” program in cooperation with a Traditional Thai Lanna settlement to the north of Chiang Mai city. Our aim here is to improve the life and treatment of the elephants under the care of these independent owners. This trip is suitable for families and guest of all ages. This is a very unique program, learning how to provide the elephant care with Thai herbal treatment. Elephant Freedom is a special, small group “saddle off” program in cooperation with a Karen settlement to the south-west of Chiang Mai city. Our aim here is to improve the life and treatment of the elephants under the care of these independent owners. This trip is suitable for families and guest of all ages. This trip differs from our other “saddle off programs” as this trip offers just a short walk, ideal for any age group. An elephant camp neighboring our park has decided to try out our concept of care. So now four lucky female elephants have dumped their trekking seats and their mahout's hooks have been cast aside. Only small groups each day enjoy the honor of observing their freedom and happiness; they walk, they scratch, they swim, they eat, they dust bathe, all at their own pace. May this be the start of a new trend that catches on in the Mae Taeng valley and elsewhere. We will be staying at The Rim in Chiang Mai. The Boutique resort is built in Lanna-Burmese style which is located in the old city along the fascinating canal in the Chiang Mai. The Old City which is a square area surrounded by ramparts and moats and believed to be constructed in the reign of the King Mantra. There are five gates around the city, which we are at the Pratu Suan Dok Gate; a few minutes to Chiang Mai International Airport, local temples, museums, historical landmark, the weekend market ‘walking streets’, the foothills of Doi Suthep and the Chiang Mai Zoo. Pricing varies upon length of stay and how many be will be traveling. Thula Thula, a family owned and operated private game lodge, is situated in the heart of Zululand, Kwa-Zulu Natal. 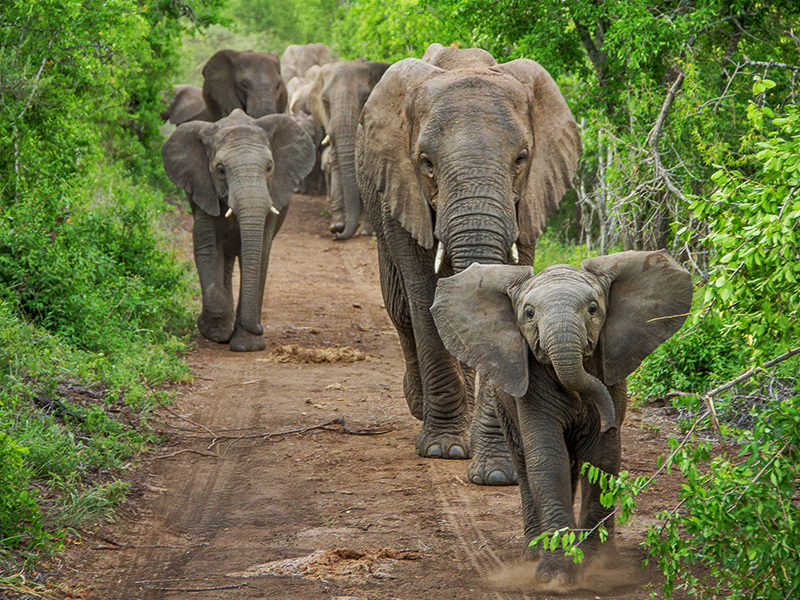 This 4500 ha, malaria free game reserve was established in 1911 and has been operational as Thula Thula since 1999. It is home to a wide variety of game like elephant, buffalo, rhino, leopard, giraffe and birds. Thula Thula, with its centuries of cultural and wildlife heritage, takes pride in tracing back its origin to the private hunting grounds of King Shaka, founder of the Zulu Empire. The first historic meeting between Shaka and his father (Senzangakhona), which set the stage for the creation of the Zulu nation, took place at the Nseleni River at Thula Thula. The Zulu name Thula Thula literally means peace and tranquillity. Lawrence Anthony was an acclaimed conservationist and an international best-selling author. He received the United Nations Earth Day medal for his work in Baghdad. He is the author of three books : Babylon’s Ark, the incredible wartime rescue of the Baghdad zoo, The Elephant Whisperer, the extraordinary story of one man’s battle to save his herd, and The Last Rhino, the powerful story of one man’s battle to save a species. When South African conservationist Lawrence Anthony was asked to accept a herd of “rogue” wild elephants on his Thula Thula game reserve in Zululand, his common sense told him to refuse. But he was the herd’s last chance of survival: they would be killed if he wouldn’t take them. In order to save their lives, Anthony took them in. In the years that followed, he became a part of their family. And as he battled to create a bond with the elephants, he came to realise that they had a great deal to teach him about life, loyalty, and freedom. The Elephant Whisperer is a heartwarming, exciting, funny, and sometimes sad account of Anthony’s experiences with these huge yet sympathetic creatures. Set against the background of life on an African game reserve, with unforgettable characters and exotic wildlife, it is a delightful book that will appeal to animal lovers and adventurous souls everywhere. Volunteers will experience living in the African wilderness, sharing experiences with others, growing their skills and making a difference. Programmes will vary slightly throughout the year, as the challenges involved in wildlife conservation are constantly shifting and certain issues may receive more focus than others. Thula Thula offers a well-rounded program aimed at covering both the needs of the reserve and surrounding communities, as well as providing a comprehensive, hands-on learning experience for the volunteers. Volunteers will see themselves as “Assistant Conservation Managers”, as all the work done and data collected by them will be utilized by Thula Thula for conservation on the reserve. Bush walk: - A full day bush walk where we will focus on developing our new volunteers. The day will consist of basic survival skills, snake identification and handling, tracks/ tracking knowledge and overall safety in a large game area. Bush Work: - Identification of indigenous plants and clearing of invasive plant species. Road works (building water run offs and repairing dongas), fence line patrols, firebreak maintenance, litter clean up. Reserve Research: - Game count, predator vs prey relationship/numbers. Soil erosion, grass counts and veld management. Conservation work: - Focusing on rare and endangered species of Thula Thula. Camera traps. Advanced tracking, game reintroduction programme. Learn how to prepare and cook a traditional Potjie over the campfire while you share stories of the day. Community upliftment: General work within the local community of Buchanana. Painting, conservation education. Lodge and Tented camp: Morning bush walk focusing on bird identification followed by general maintenance and project work at the tented camp and main lodge.Volunteers will be assisted in preparing and cooking their final African feast and treated to traditional Zulu dancing. The Thula Thula volunteers Academy is situated adjacent to our Wildlife rescue and rehabilitation centre, in a secure fenced area, with the most magnificent view over the whole game reserve and Mkhulu Dam, the favorite spot for Thula Thula's herd of elephants. Currently a maximum of 8 volunteers can apply per session, one of the volunteers being from the local communities on a complimentary basis. Accommodation will be basic but comfortable, in 8 double tents, entirely lit by solar lanterns and wooden poles separate ablution area. Accommodation and all meals will be provided during your stay with us. Breakfasts will include Tea/Coffee and cereals. Lunches will include sandwiches and fruit. Dinners will be a variety of simple meals cooked around the camp fire. Vegetarian and vegan meals will be available on request. All of our conservation projects, as Wildlife protection and anti-poaching, the Thula Thula Wildlife rehabilitation Centre and our Land expansion project for elephant habitat, are financed through the Thula Thula Non-Profit Organization THE SOUTH AFRICAN CONSERVATION FUND. The THULA THULA VOLUNTEERS ACADEMY is a part of the SOUTH AFRICAN CONSERVATION FUND. You can find more information at http://thulathula.com/conservation-fund-2/.